Construction is almost finished and the library is ready to open. 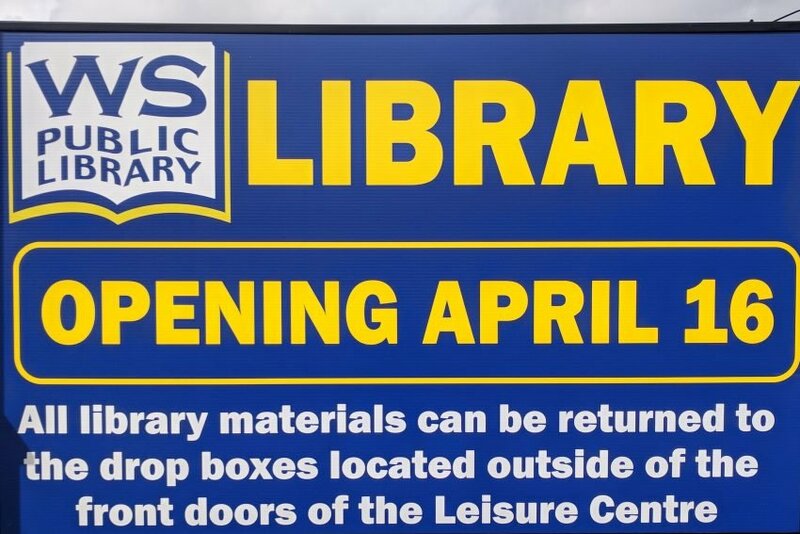 The official opening date for the expanded Whitchurch-Stouffville Public Library has been set for April 16 at 10 a.m.
To celebrate, a Library Open House event is scheduled for April 21 from 10 a.m. to 4 p.m. Activities for all ages will highlight the new features of the expanded library. Events for kids will include a special story time, crafts and a special performance of The Purple Pirates by the Apple Fun Puppets in the new brand new children’s program room. For older kids, aged eight and up, there will be a Lego WeDo robotics drop-in and teens can come to see the new Teen Lounge as well as learn about volunteer opportunities available at the library. The library staff will showcase the new innovation space for all ages with a 3D printer demonstration. Adults will be celebrating National Poetry Month with a poetry information session in the brand new adult program room. Times of all the events are are available on the library website at wsplibrary.ca.